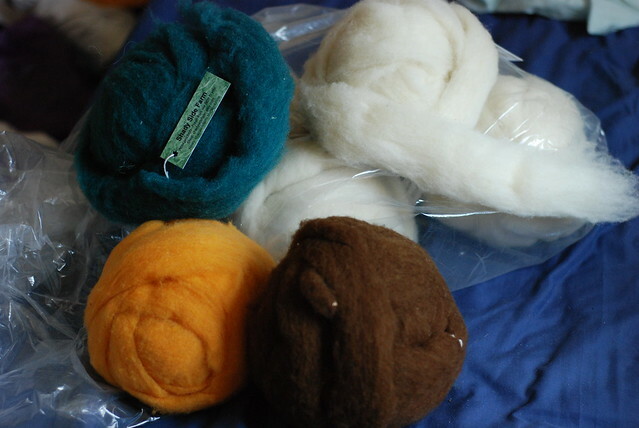 "I would love to make a nice cushy (but still sturdy) sweater from this stuff. I'm not sure if I'll be able to get ahold of more Polypay in the future..."
Well, I did! Shady Side's Polypay is softer than the fleece sample I worked with, better reflecting its Targhee ancestry. I cannot say enough good things about this wool - soft, bouncy, very easy to spin. And yes, I'm planning to spin a sweater out of it, so it's a good job I'm pleased with it! 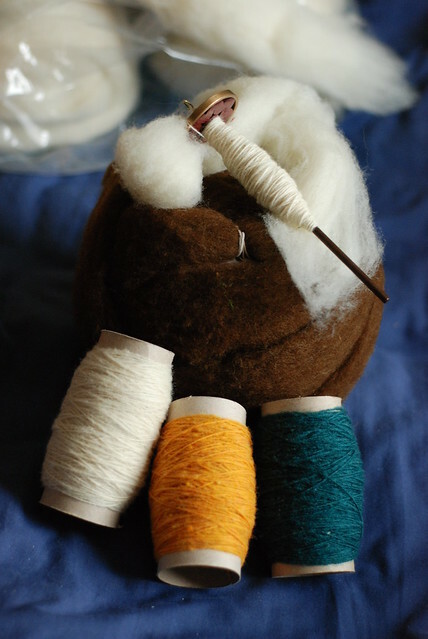 Looks like you have a lot of spinning in front of you to make a sweater, but those colors are HAWT! Thanks! When I saw them in the Etsy shop I thought they'd be perfect together, but I was scared that the photos wouldn't be accurate and they might not go well in real life. But it was fine - and I'm really pleased with the combo! I love those colors! And high five to a fellow drop spindler!